The scientifically influenced Colours Panel is a simple but fun and effective method to teach children about the primary colours and how mixing them can create new ones. This panel has been designed to engage children and enable them to have fun whilst learning through play. The panel has the original set of primary colours which are located at the back with another set of colours are located on the rotating disc itself. Watch as the children turn the panel and learn which colours combine to make their favourite colour. Children will be able to write down observations and results on a wipe board next to the rotating disc. 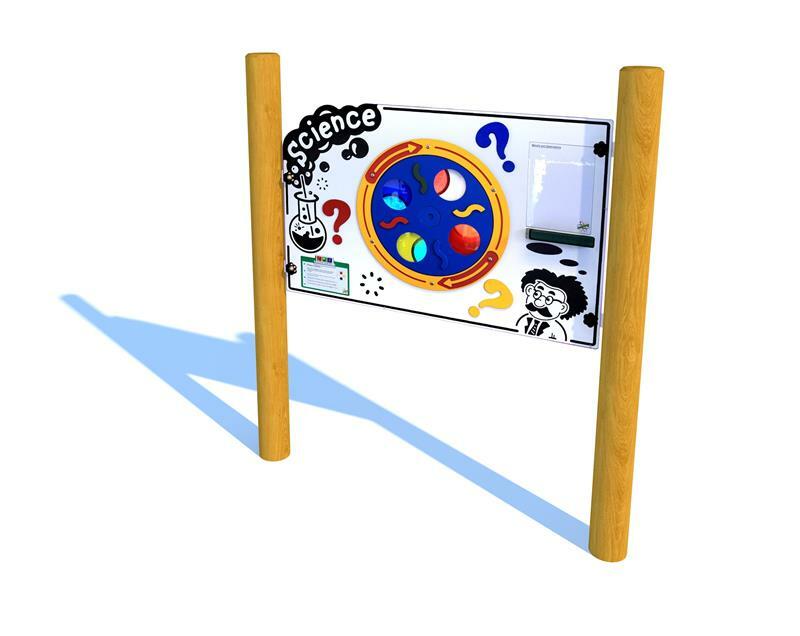 The Colours Panel even features a panel with experiment ideas for children to try out. A great engaging resource which will involve collaborations, teamwork and turn taking.